McALLEN — Gov. 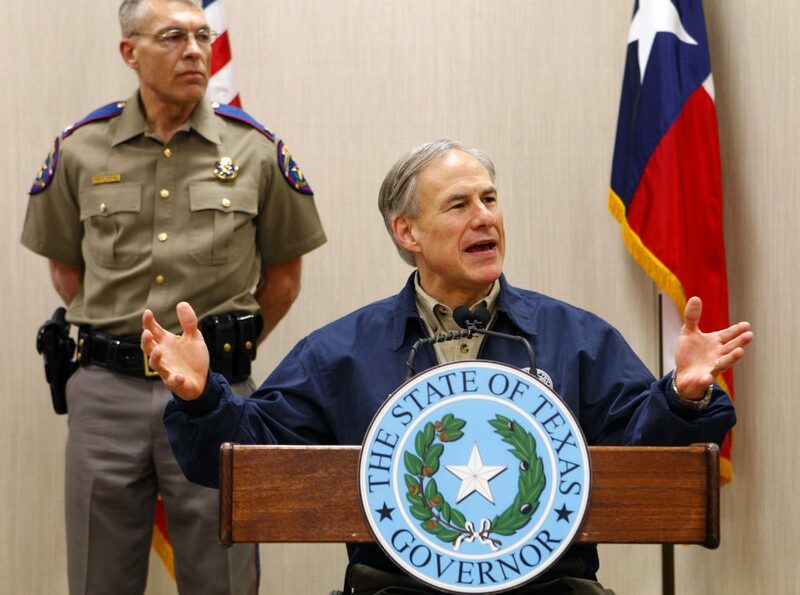 Greg Abbott will meet with National Guard troops Thursday, days after they arrived in the Rio Grande Valley, according to a news release from the governor’s office. Abbott is set to receive a border security briefing and also meet with Texas National Guard Troops in Weslaco, the release states. Abbott’s visit to the Valley comes days after 250 troops were deployed to the area. President Trump last week said he wanted troops on the U.S.-Mexico border to help stop illegal immigration and drug trafficking. On Tuesday, Abbott said sending troops to the region has proven to be “impactful” on immigration and crime in the past and has plans to have as many as 1,000 troops manning the border. 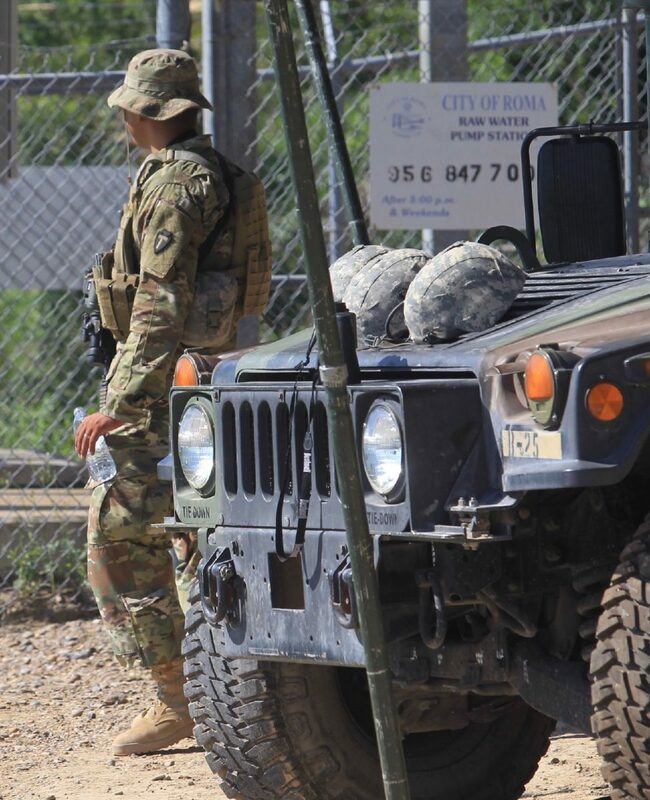 A member of the Texas National Guard patrols Wednesday, April 11, 2018, near Roma. Trump said last week that he wants between 2,000 and 4,000 troops along the U.S.-Mexico border, which stretches approximately 2,000 miles from California to Texas. Four years ago, then-governor Rick Perry sent troops to the region amid an influx of unaccompanied minors, and undocumented persons from South and Central American countries fleeing violence. Their role then was to support Texas Department of Public Safety troops already working Operation Strong Safety. In Arizona, Gov. Doug Ducey, beginning Friday through Tuesday, had deployed more than 330 troops to the border. Including the troops that were sent to New Mexico’s border with Mexico, the total between the three border states will come to 1,600 total troops committed to a support role to Border Patrol and other federal agencies already working those areas. California Gov. Jerry Brown agreed late Wednesday to contribute 400 troops, though not all will be on the border. The Trump administration has justified the deployments after citing a Department of Homeland Security report, which stated there was a more than 200 percent increase in illegal border crossings from March 2017 through this March. Another report shows a 37 percent increase of the same infraction from February to March. But opponents of the deployments have pushed back on those statistics, saying the numbers are a misrepresentation of the facts. One fact arguing against another deployment is the idea that apprehensions in the Southwest border sector began decreasing before Trump took office — and that the number of apprehensions have actually gone up to rates seen during President Barrack Obama’s term. On Tuesday Rep. Vicente Gonzalez, D-McAllen, said policies should be put in place based in reality, and not rhetoric. Gonzalez went on to say he was disappointed with Defense Secretary James Mattis’ decision to send the troops to the region under a “false pretense,” and welcomed ‘reasonable and responsible’ measures to secure the border.